Today is a big day for my son and I. The sequel to our favorite video game, Dark Souls, comes out! 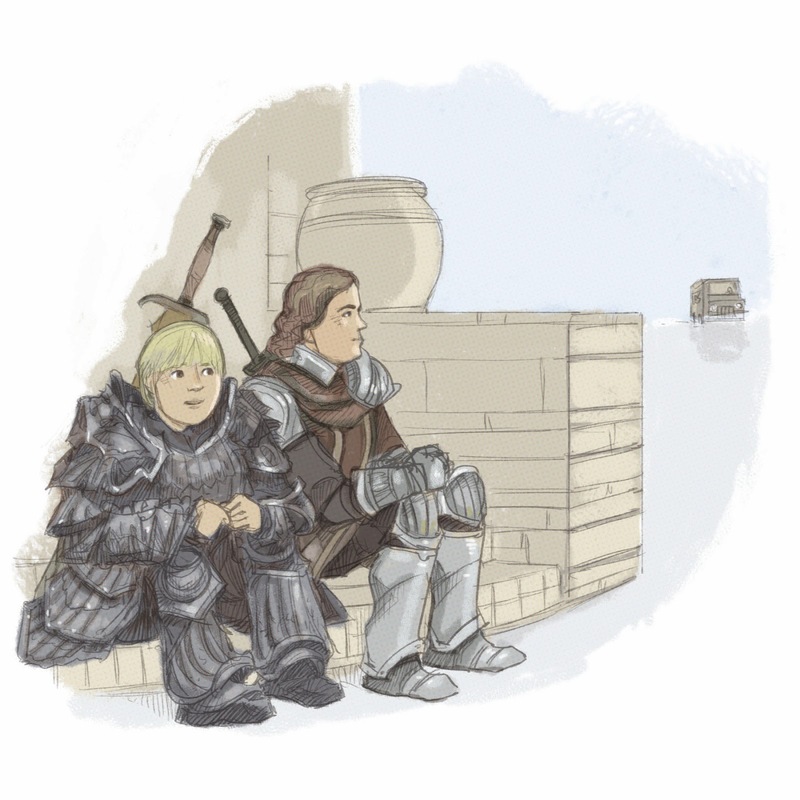 Here we are, wearing our in-game armor, waiting for the UPS truck to bring our Special Edition Dark Souls II. Uly's wearing the Havel armor and the Dark Knight Greatsword. I've got the Elite Knight armor gear and my trusty Lightning Shotel. It's rare that I do fan art, but today's a special day.